Absolutely love the style and pattern of the dress!! Beautiful dress! Your top-knot looks perfect too - I've got top-knot jealousy haha! You look awesome. I love the sheer sheer layer under your dress. This whole outfit is just lovely! You look awesome, such a stunning dress! Wow. congrat on finishing uni! I'm just coming to the end of my first year and it's gone so fast. Dominos sounds like the perfect way to finish and this dress is gorgeous! congratulations on finishing uni! i start in september, eeeek. 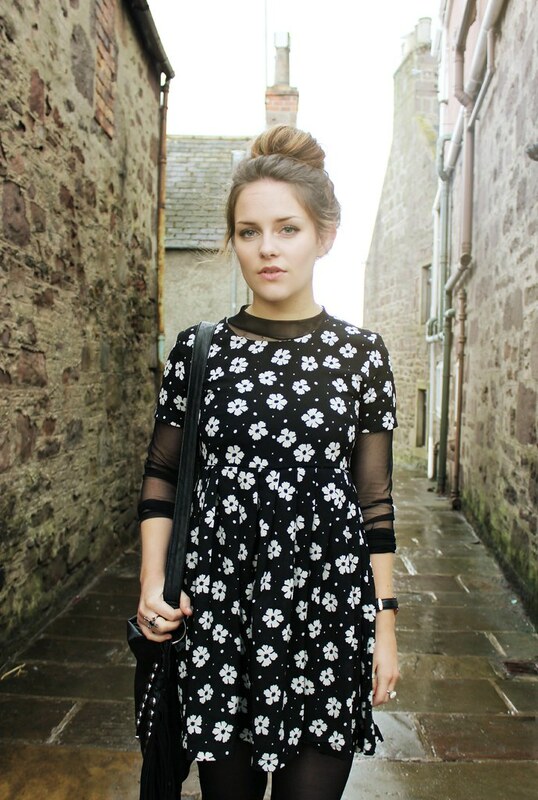 you look gorgeous, who needs exercise when sheinside have babydolls? Love this! The dress over the top is gorgeous and congrats on being done with uni - 2 more years to go before I'm free! Love the dress with the mesh underneath! 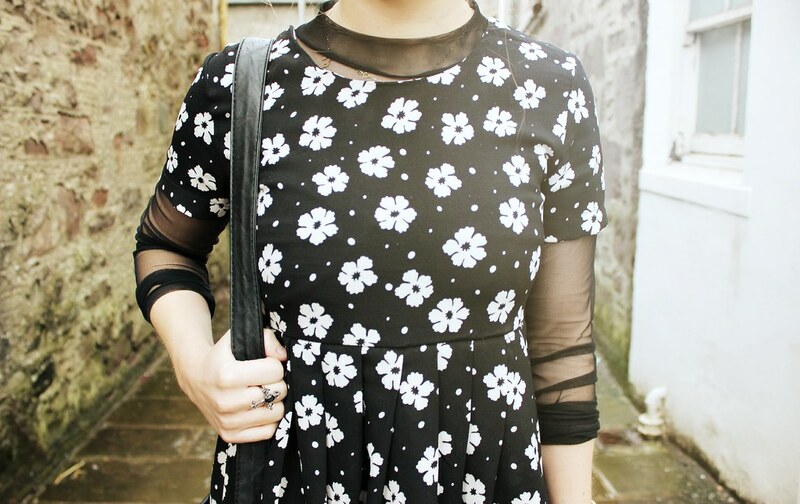 The dress is so cute, I love daisy print at the moment, it seems to be everywhere! I'm also fancying the idea about pairing everything with mesh! Love the underneath top, it really makes this outfit different, and adds originality! Congrats on getting everything handed in lovely! I'm sure you deserve the Dominos! Love your hair here and congrats on finishing uni, exciting! Congrats on being done with uni! That dress and your hair are both so cute and lovely. And those tights are amazing on you! I love your outfit so much! Stunning :D I really like this dress, want, want, want!